After my trip on GS1 I was just in time to catch RT3148 to Parkgate. 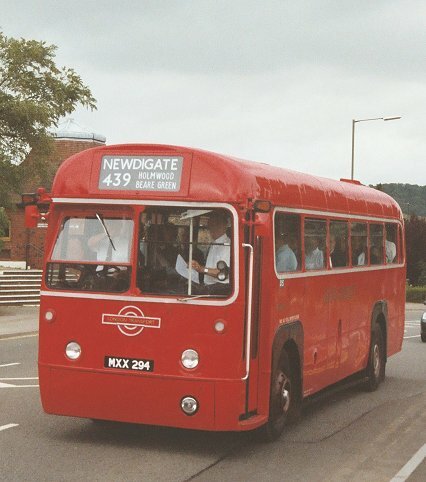 The 429 was the original Dorking loop service, before it was appropriated by the 439. 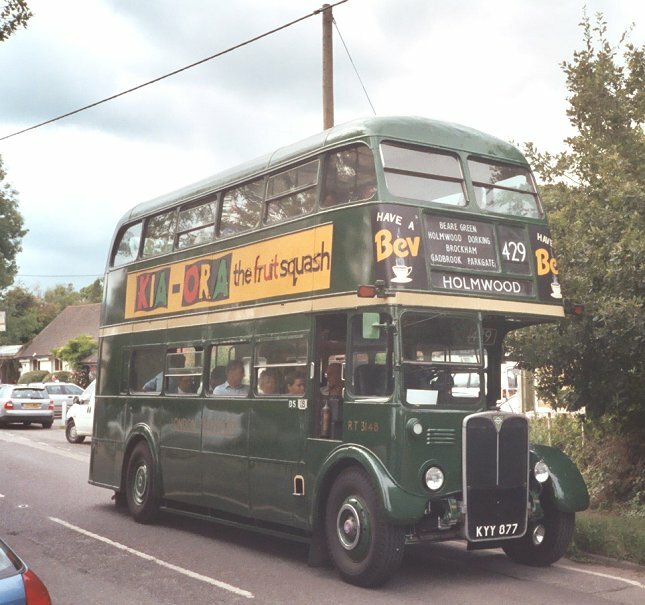 It operated from Newdigate through South Holmwood, on into Dorking and on to Brockham, Strood Green. 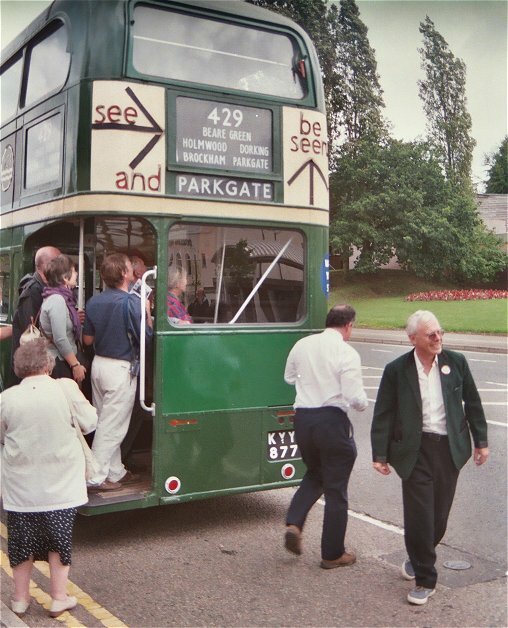 One bus a day went on as far as Parkgate, and others completed the loop. 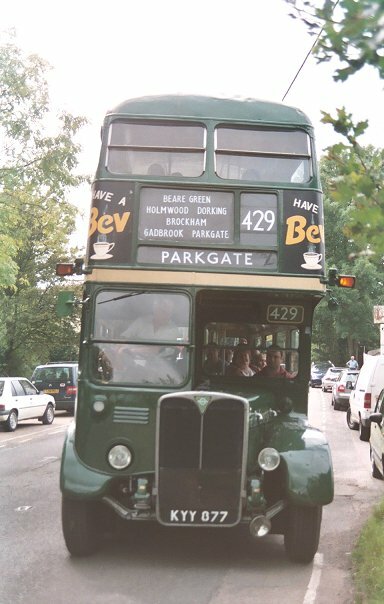 But the road to Newdigate appears not to be suitable for double-deckers, and the stretch to Parkgate barely so. It needs a visit from the STL tree-lopper! But more of that anon. 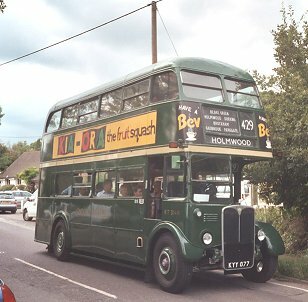 RT3148 was already on the route, coming in from South Holmwood. 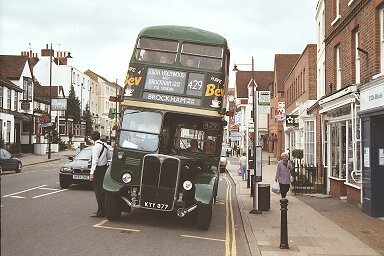 At Dorking Pippbrook it stopped to change drivers, Peter Aves taking over the wheel from Colin Rivers. A good load boarded, most going upstairs, and I slipped into a rear seat downstairs to change films - both cameras! 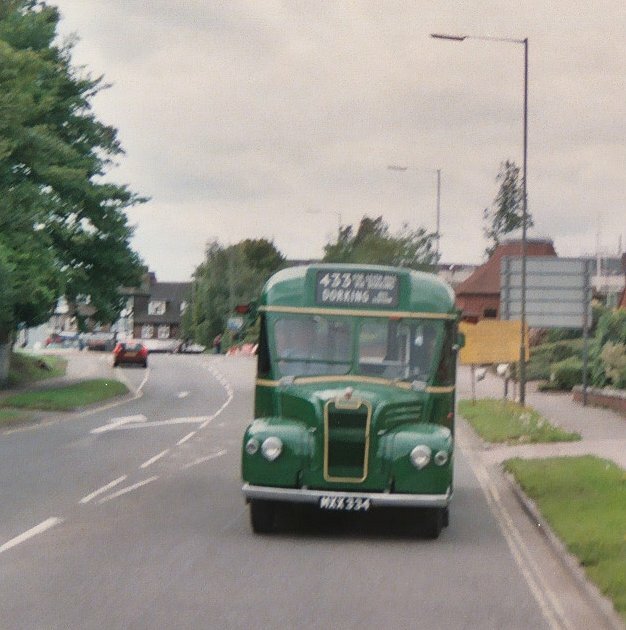 Then we were away, followed down to the roundabout by GS34 on the 433. There was no opportunity to "capture" the bus crossing Brockham Bridge, but Peter stopped the big green machine at the bus stop Strood Green for the benefit of photographers. Just as we were boarding again RF626 came the other way on a 439. 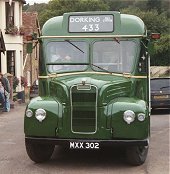 The RF proceeded to make a circuit of the green before heading on for Dorking. 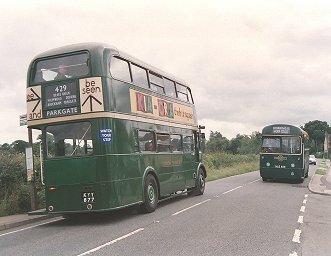 The RT headed on south, soon passing one of the red RFs coming the other way. 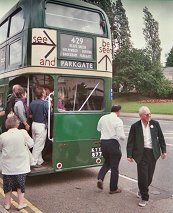 The section on to Parkgate was not free of overhanging trees, so Peter drove more cautiously while the conductor walked ahead on the dodgier sections to warn of the heavier problems. 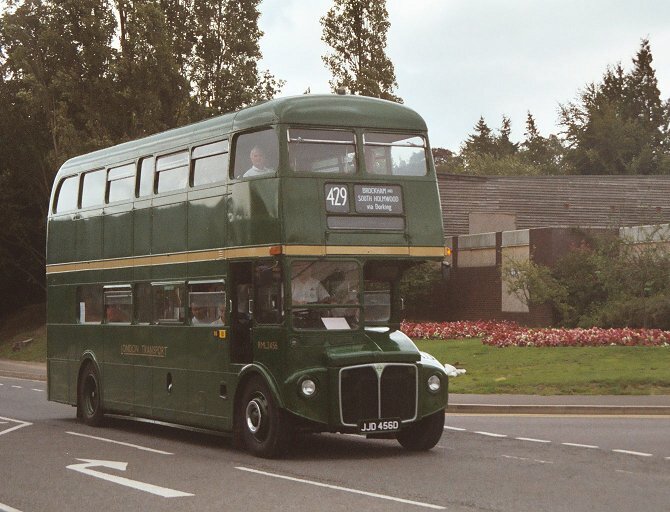 But apart from a few rustles on the roof the RT proceeded without difficulties or dome-dents, and turned right to run along to the Surrey Oaks pub at Parkgate. 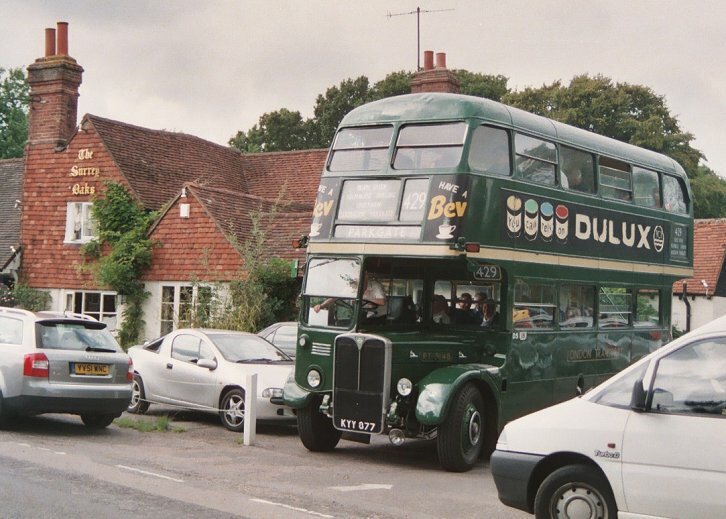 The pub was now holding a jazz concert, and the carpark that had been deserted this morning was now full. 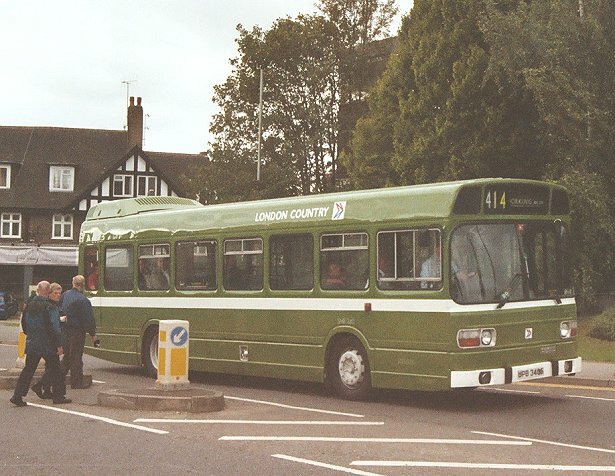 But there was just room to back the bus into a gap, and turn out to stand at the stop. The blinds were reset on the RT for the return trip through Dorking to South Holmwood, most of the photographers were rustled up (a few were staying behind for a connection), and we set off north again. 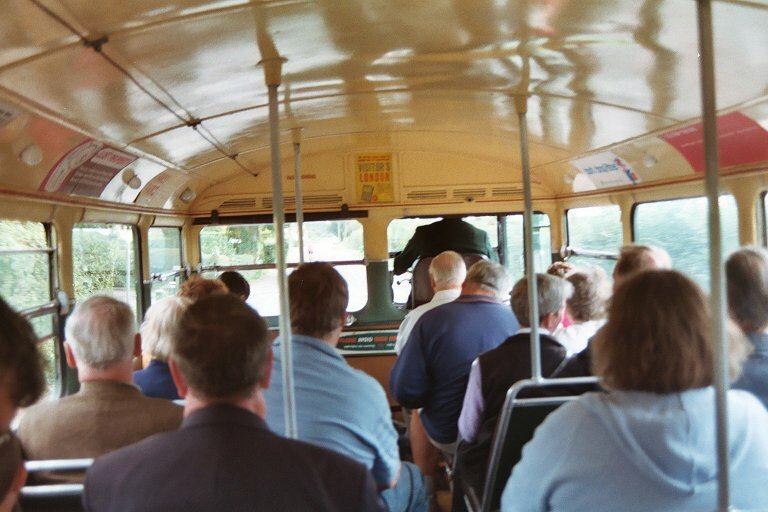 The return trip was uneventful. 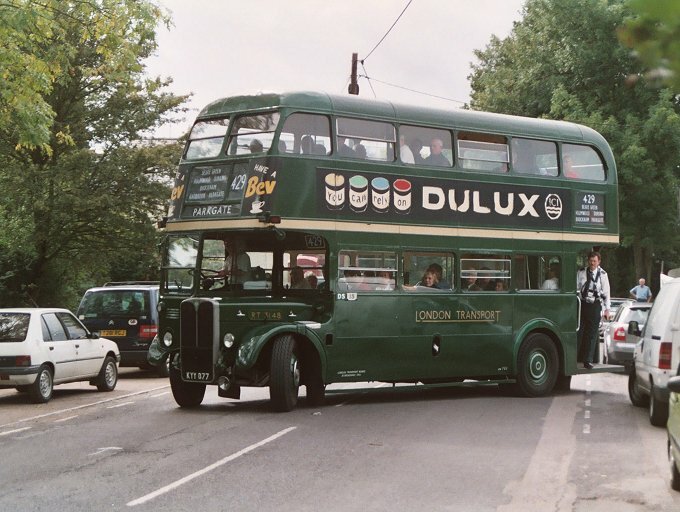 Again the traffic did not oblige on the bridge over the Mole, and soon we were rolling back into Dorking to stop at the dolly opposite the Pippbrook site. 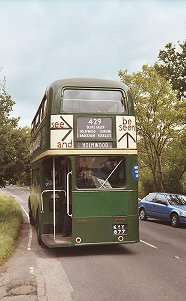 SNB340 rolled past into the carpark opposite, back from Capel on the 414. Red RF406 loaded up for the 439, and came back past us after rounding the roundabout. 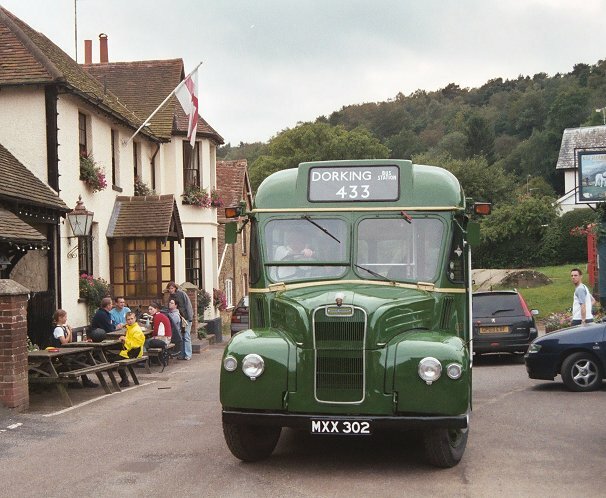 With Peter Aves still at the wheel we headed off through Dorking. 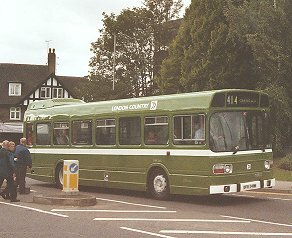 Modernised Greenline RF28 passed us on a 425 from Guildford. 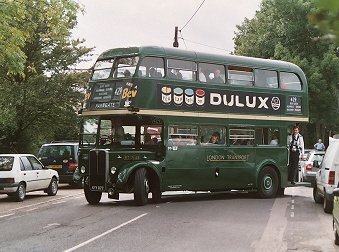 We turned left up past the old bus station, and past Goodwyns Park Estate where the 449 Town Service went, and on out of the town. 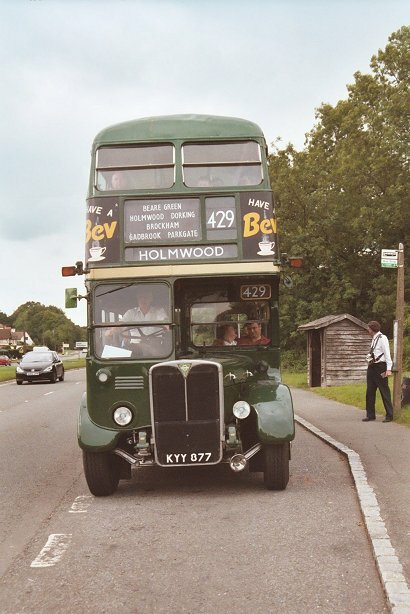 We passed through North Holmwood, and pulled out onto the A24. 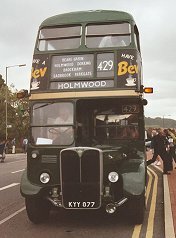 The Holly and Laurel terminus is actually on the A24. 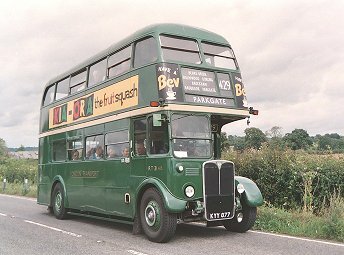 It seems the procedure was to stop at the southbound bus-stop lay-by, and the conductor would look for a break in traffic beforing ringing the bus away for the turn through a gap in the dual carriageway to reach the lay-by on the north-bound side. This was accomplished quite satisfactorily. We had a break at the terminus, before the blinds were wound to the short-working set for the return through Dorking to Strood Green. 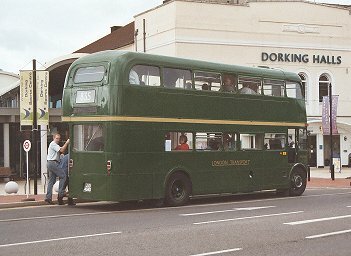 I returned to Dorking on the RT. 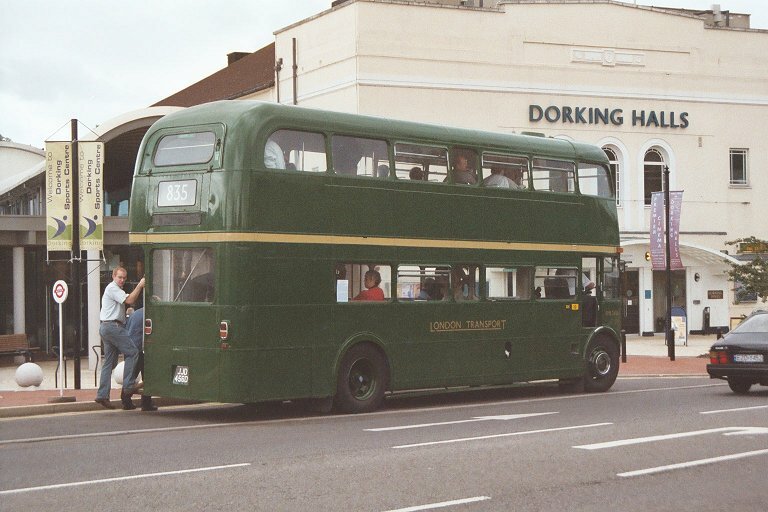 We paused at the stop in Dorking Main Street. The road camber here is rather steep! 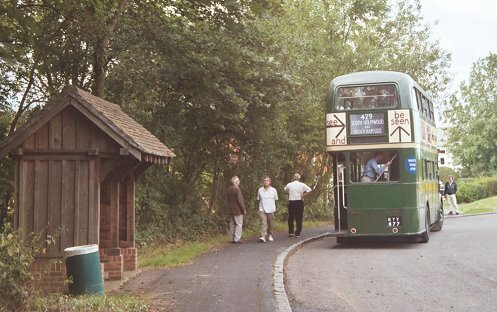 From there it was just a short way down to the stop at Pippbrook, where drivers changed again, and I alighted. 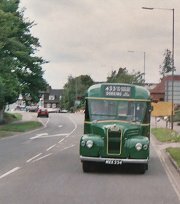 Green RML2456 motored past on the other side of the road and pulled up at the Dorking Halls stop. 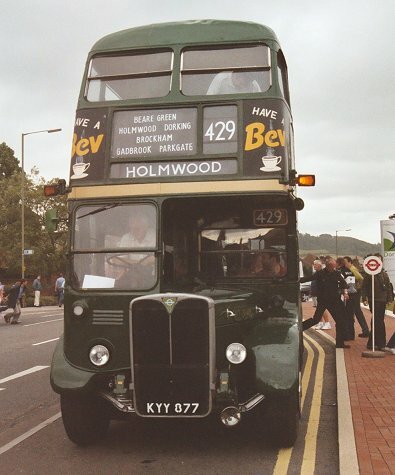 It was on the next 429, en route from Strood Green to South Holmwood. I had a few minutes before my next trip, so went to find the refreshment van again.